Our Celebration at the Birthday Bash Was Party Central! <?/smaller><?/fontfamily><?fontfamily><?param Arial><?smaller> I can’t say it enough! This was the best Bash we’ve ever had! 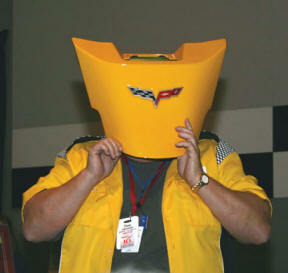 Of course the big news was about Corvette’s mid cycle change for 2008. I’m not just talking about C6 color changes, I’m talking about Horsepower! It seems as though we’re going to get a maximum of 36 more horses in our favorite American made sports car. The engineers are changing Corvette’s engine over to a 6.2 liter LS3 with 430 ground rumbling horses under the hood, along with a new optional hot exhaust system adding six additional ponies to the mix. I’ve heard this new exhaust (RPO NPP) and it sounds aggressive! Oh yeah, I almost forgot, with all the Horsepower enhancements, there is a new 4LT Package which gives you the new for 2008 Custom Leather Wrapped Interior in two color combinations. But in Bowling Green the news was that the 10th Anniversary Celebration at the Birthday Bash was Party Central! From the blurry eyed morning reports that I received from our members, there were parties going on somewhere in Bowling Green every night. This year’s Birthday Bash was just the right blend of technology and good times! I want to extend a BIG C5/C6 THANK YOU to Executive Director Wendell Strode and Events Manager Roc Linkov, along with their dedicated staff for the fabulous behind the scenes commitment they had in putting on this outstanding Bash! We could not have done it without you! Those of you who attended the Corvette Racing Awards dinner on Friday night heard Corvette Racing’s big announcement that Ron Fellows [C5R# Z5201] and Andy Pilgrim [C5R# Z5202] would join forces again to run a third C6.R Corvette at Mosport in Canada on Sunday, August 26, 2007. All indications are that this Corvette would be painted white to match the 399 Ron Fellows Special Edition Z06s recently completed at the Corvette plant. 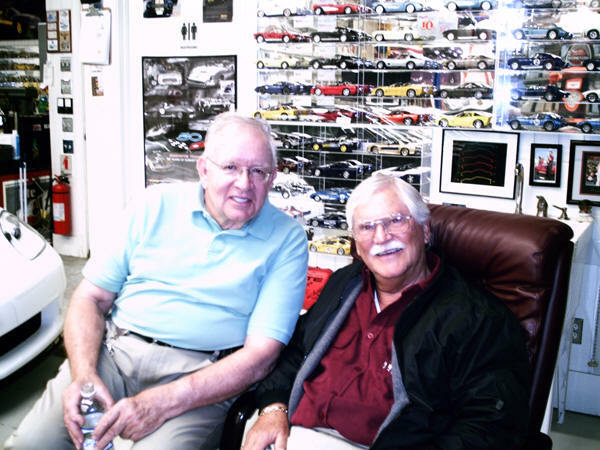 It’s great news to hear about these two road course racing legends joining up again to campaign a Corvette racer one more time. love, give a kid a ride….which means <?color><?param 0000,1919,E5E5> we all need to instill the love of Corvettes and the Corvette hobby in the next generation. 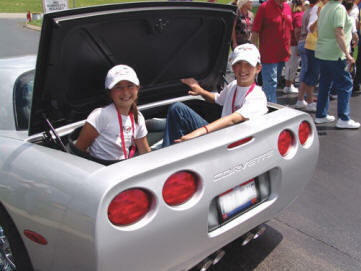 I’ve always believed that the best way to do this is to inspire them while they’re young.<?/color> The Kovacevic family just exemplifies what is meaningful about the Corvette hobby and how it can bring us all together. At Friday’s 9:00 am Official C5/C6 Registry Membership Meeting I announced the appointment of a Director of Operations. Who will be filling this role, you ask? Why it’s none other than our FIRST Registry member, Dan Douglas [C5R# V0003] from Fuquay-Varina, North Carolina. He is known to most of you as DataDan and he brings a wealth of computer and technical experience spanning a variety of areas to the Registry. 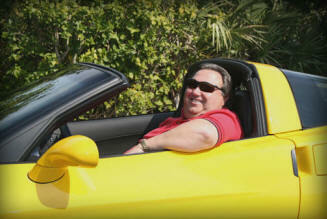 DataDan is a lover of Corvettes, as he says, ever since his adolescent days. He has enjoyed five Corvettes spanning from 1963 through 1997 and has belonged to a multitude of different Corvette clubs around the country. His professional career has been focused within the computer industry as a consultant, designer/developer and user. DataDan will be responsible for the daily operation of the C5/C6 Registry, as well as expanding our offerings to better address the interests and needs of our membership. Members, feel free to join me in welcoming DataDan to the Registry office as Director of Operations. For those of you who want to say hello, you can email him at datadan@c5registry.com. I know this is going to be a real turning point in the history of the Official C5/C6 Registry. We all know the Registry is only as good as it serves the needs of its members, and I know DataDan will provide a quantum leap for our membership services. I look forward to seeing you throughout the year at various Corvette events. I wish you a fabulous Corvette Summer as many local Corvette Club events around the country are powering up! Have FUN and be safe! Remember, if you’re ever in Florida around the Kennedy Space Center, give the Registry office a holler and stop by and see me so I can say Hello.